The Inky Awards recognise high-quality young adult literature, with the longlist and shortlist selected by young adults, and the winners voted for online by the teen readers of Inside a Dog. There are two awards: the Gold Inky Award for an Australian book, and the Silver Inky Award for an international book. The library has all titles in the longlist -why not reserve a copy now? 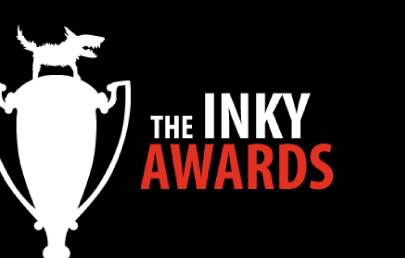 Applications are now open for the 2018 Inky Awards judging panel. Judges should be between 12 and 18 years old, live in Australia, and – above all – love books and reading! If you are a bookish teen or have a bookish teen in your life, please encourage them to apply! Applications close at 9am AEST on Monday 26 March. Applications are also open for the inaugural Inky Awards Shadow Judges. These teens will be sent five of the longlist titles to read, react and/or review for the new Inside a Dog website (to be launched very soon.) Applications close at 9am AEST on Monday 26 March. You can apply for both programs. This entry was posted in Australian Authors, Awards & Prize Lists, New Arrivals, Recommended Reading, Young Adult and tagged inky awards, teen reads, YA reads by Parra Reader. Bookmark the permalink.